MUMBAI, 19th Jan, 2017: Mukta Arts Limited has signed up Dickenson Seagull IR Solutions Ltd., (DSIR) for its end-to-end IR solutions, encompassing market positioning, visibility enhancement and feedback analysis. Leveraging its position as one of India’s prolific film production houses, Mukta Arts has successfully diversified its business across the entertainment sector. Under the guidance of its Chairman and legendary film maker Mr. Subhash Ghai, Mukta Arts has developed a rich archive of intellectual properties, which include super-hit movies such as Kalicharan, Karz, Hero, Ram Lakhan, Khalnayak, Taal and Pardes, with a prospective addition to this list being Khalnayak Returns, starring Sanjay Dutt. The Company has also opened Asia’s largest and best Film, Television, Animation and Media School — Whistling Woods International, which continues to grow its worldwide reputation for high quality education. The Institute now has over 700 graduates successfully placed and 500 students currently studying on its state-of-the-art campus. So far, Mukta Arts has built a creditable reputation for being a diversified player within the entertainment industry. But more recently over the last 2 years, under the watchful eyes of its Managing Director, Mr. Rahul Puri, the Company is focussing on establishing a well-dispersed footprint of cinema theatres across the country. These cinemas operate on an innovative model that cleverly focuses on blending a luxurious experience with affordability for its patrons. This transformational drive has meant that the Company currently has established 43 operational screens in India so far and is steadily progressing towards its target of taking its screen count towards the 100 screens milestone by the end of FY2017. The Company has also recently stepped out of Indian boundaries and launched a 6-screen property in Bahrain, which is expected to generate superior margins. “Dickenson is delighted to come together with Mukta Arts and communicate its strong production DNA, solid educational platforms and a rapidly evolving story in the theatre arena. 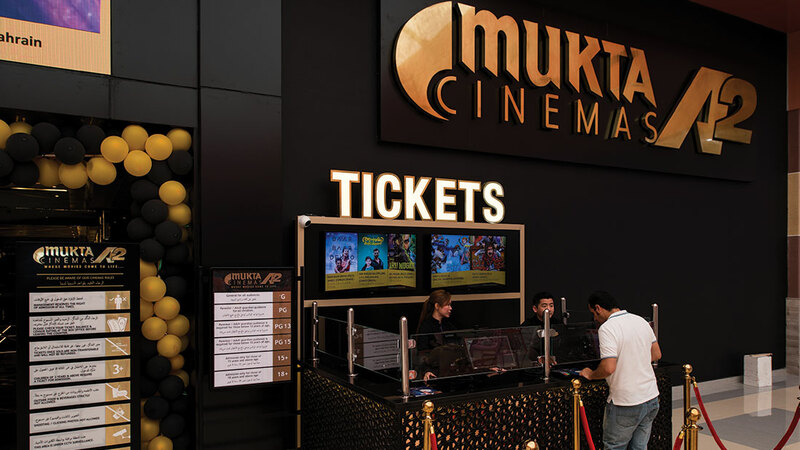 With the company’s focus on growing its movie exhibition business under the ‘Mukta A2 Cinemas’ brand, the company is on a steady journey to becoming a multi-tiered theatre player in an under-screened India. This business will soon become a key pillar on which the company’s growth in revenues, profitability and wealth creation will rest,” said Manoj Saha, Managing Director at Dickenson Seagull IR. Mukta Arts Limited is one of India’s leading production houses with business interests across the entertainment spectrum from Exhibition to Education. Founded by Mr. Subhash Ghai, one of India’s most successful film directors, the company has an IPR library of over 35 hit films and has a brand that is globally recognised with quality entertainment. The Company has successfully diversified its business into other areas of the film industry. It currently is in the Programming, Distribution, Education and Exhibition businesses.